Forget “Orange is the New Black.” Some Wall Street analysts think red may be the new green for Netflix’s stock price. Netflix (NFLX) shares are up an astonishing 114% so far in 2018 and close to their all-time high. The company is now worth nearly $ 180 billion, almost $ 20 billion more than Disney (DIS). And it was the big winner in the 2018 Emmy nominations, too. Clearly, Netflix has momentum on its side and is in a great position for the long-term, but there are growing concerns that the stock has run up too quickly. He thinks investors are ignoring the risk that rivals could eat into Netflix’s share. Traditional media firms are turning up the heat on streaming. Disney and Fox (FOXA) are investors in Hulu. Disney also plans to start is own streaming service in 2019 — and it is in the process of trying to buy the movie studio assets of Fox as well. Larger tech companies like Amazon (AMZN), Apple (AAPL) and AT&T (T) — the owner of WarnerMedia, which includes HBO and CNN — are also making big investments in streaming media. AT&T also owns satellite TV service DirecTV. Sheridan cut his target price on Netflix from $ 425 to $ 375 as a result of his concerns. Netflix currently trades at about $ 410 a share. Analysts expect Netflix to report a profit of $ 2.85 a share for all of 2018, which means it is valued at nearly 145 times earnings forecasts. To put that into perspective, the broader market (i.e. the S&P 500) is trading at about 18 times this year’s earnings estimates. So Netflix is an extremely expensive stock — and other analysts are nervous about that, too. Instinet analyst Mark Kelley initiated coverage on Netflix earlier this week with a price target of $ 370. In his report, titled “Netflix, Chill,” Kelley noted that while “Netflix’s expansion has been an undeniable success story” he is worried about the increased competitive landscape as well as a maturing US market. That may make it difficult for Netflix to keep blowing away Wall Street’s estimates, particularly for subscriber growth — which is the number investors seem to care about most. 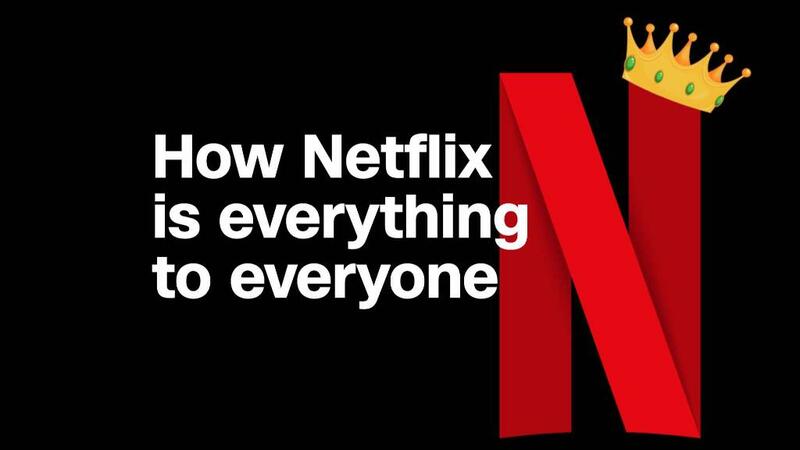 Netflix now has 125 million global subscribers. It added 7.4 million in the first quarter, topping analysts’ projections. According to estimates from Thomson Reuters, Wall Street is predicting that Netflix added 5.5 million more subscribers in the second quarter. The company will likely need to blow away analysts’ targets for subscriber growth to satisfy investors, and there are some Netflix bulls who think that’s possible. Daniel Ives of GBH Research said in a report that he expects Netflix to “handily beat” Wall Street’s forecasts. Subscriber additions could be “roughly 15% to 20%” higher than estimates — and that means Netflix’s earnings should easily surpass targets, too. As a result, Ives thinks the stock could hit $ 500 a share. Longer-term, Netflix’s big investments in new programming could mean even bigger gains in subscriber growth. And for what it’s worth, average investors remain incredibly bullish on Netflix despite its expensive valuation. According to a survey of about 300 individual investors done by Ally Invest in the past few weeks, 34% of investors said they expected Netflix to beat Wall Street’s forecasts, compared to just 27% predicting a positive surprise back in January. So it looks like there are still a lot of people who think Netflix’s stock price may be as unbreakable as Kimmy Schmidt.